Silsila Badalte Rishton Ka is the most TRP rating Tv Serial on Colors Channel. There is so much drama is going on in the Silsila Badalte Rishton Ka Tv Serial. On these days Silsila Badalte Rishton Ka is most loving serial. Silsila Badalte Rishton Ka is currently attracting so many viewers. There is a high-voltage drama is going on in the Tv serial Silsila Badalte Rishton Ka. The serial is giving so much entertainment to their audience for a long time and getting an overwhelming response from the audience. Today’s episode of Silsila Badalte Rishton Ka Mishti dislikes for Kunal. 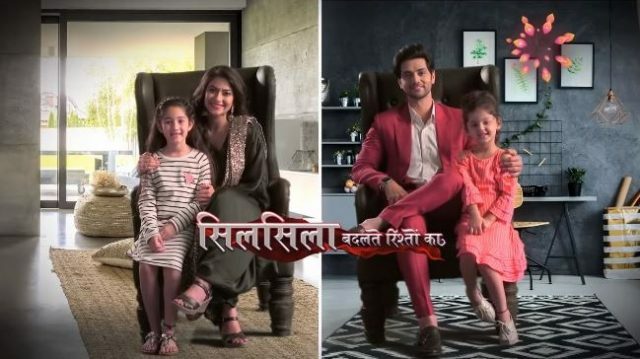 Silsila Badalte Rishton Ka written episode of 30th November 2018, begins with Mishti is sitting on sofa sadly, Mauli asks Dida to say something for bad behaving with Pari. Dida asks Mishti to what happened. Ishaan comes, Mauli tells Ishaan that how she pushes Pari at Aprk and tells all things what is happening at the park. Ishaan tried to make laugh for Mishti, she is looking for Ishaan, Mamma asks to come with her. Ishaan tries to make laugh for Mishti. She is sad and recalls the memories with Kunal and Mauli hand touch at the car, Msihti demand for a kiss with Mauli and Ishaan in front of all. Ishaan tries to kiss Mishti, she demands a kiss for her Mamma. Mauli was resistant, but Ishaan kisses on Mauli’s cheek as it is not an impossible demand. Mishit demands Mamma to kiss Ishaan as well. Mauli scolds Mishti for pointless demands. Mishit says other’s parents kiss each other. Then why her Mamma cannot. Dida and Mamma both tell to Mishti that her Mamma and Popsy are not married yet. Mishit said Mamma does not love pospsy. She loves Pari’s papa because he is her papa as well. Everyone was taken back hearing this from Mishit. She said I have heard what Mamma told Pari’s father on the day of engagement. Upcoming of Silsila Badalte Rishton Ka 30th November 2018: Pari calls Ishaan and said that you are bad because you hide something secret with me.